Xterior Solutions are your local experts for complete roof replacement. We service a wide variety of roofing materials and give you a durable, high-quality roof that will perfectly complement your home and last for years to come. Let us help you give your home a beautiful new roof that will keep you safe and dry. We expertly service Carmel, Poughkeepsie, Mahopac, and nearby! Call us today at 1-855-252-2535 or click below for a free estimate on total roof replacement or any of our roofing services! This roof had several stains and had mostly faded over time. Some areas were in need of repair and it was likely that the homeowner would soon experience leaks as the roof got older. Working with Xterior Solutions, the homeowner decided to replace their roof. This gives their home a fresh new look, no more fading or stained roof, and they can feel secure in the knowledge that they have a structurally sound roof that won't leak for years to come. This home was suffering from staining and age. Our team of professionals drafted a proposal and completed the work. As you can see, what a transformation! The customer is happy! Great job team! We replaced this roof with a crisp new Onyx Black Shingled roof. Weathering, missing shingles, and general wear and tear were remedied by Xterior Solutions. Now, these homeowners can enjoy a clean, sleek roof in Owens Corning Onyx Black! This house had outdated colored shingles which we replaced with Owens Corning shingles in Slatestone Grey. The home is now protected from the elements for years to come. If you are looking for a new roof, call for an estimate today! We replaced this roof using Owens Corning Duration Shingles in Slatestone Grey, a common color for good reasons, it looks great on any roof! These homeowners noticed that their roof had faded and really started to look old and worn. 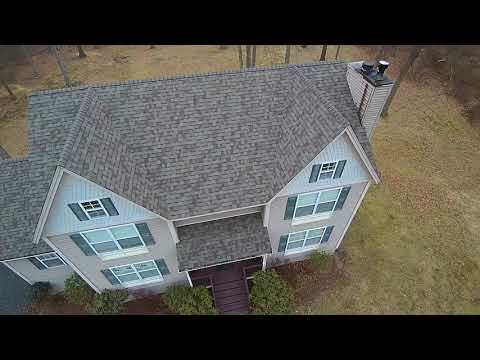 Our crew came in and replaced the roof with Owen's Corning Onyx Black shingles. The homeowners were quite pleased with the results! It was time for this aging roof to get a makeover. We replaced this roof with Onyx Black shingles that really add the existing curb appeal of the home. We replaced this faded tan roof with beautiful Owen Corning Amber Duration shingles. "Steve and his team battled the cold to complete the roof in..."
"I can't praise Xterior Solutions enough! From the first..."
"I have used this company twice before for repairs and find..."
"These guys are the best. ... they met AND exceeded all my..."
If you think it might be time to have your roof replaced, contact Xterior Solutions today to have your roof inspected by one of our experts. We proudly serve in Poughkeepsie, Mahopac, Carmel, Newburgh, Wallkill, Yorktown Heights, New Windsor, Hyde Park, Ossining, Middletown, and throughout the surrounding areas.